As one of the most revered national heroines and feminist icons in India, Rani Lakshmi Bai’s utter fearlessness has inspired generations in the country. Rather than just stare unflinchingly in the face of danger, she decided that riding a stallion into the heat of battle against the British colonial rule in 1857 was a sounder decision. So she did exactly just that—while strapping her 10-year-old son onto her back into war. In an era and country that thrived on the subjugation of her women, Lakshmi Bai’s tenacity and courage in battle—with a kid on tow, may I remind you—were mind-blowingly admirable. Lakshmi Bai wasn’t the only warrior, however. According to this excellent piece by Rana Safvi at The Wire, a cabal of female warriors also played a huge part in India’s rebellion against the British East Indian Company, a company powerful enough to own a nation and assemble a military. Sadly, many had been forgotten and relegated to footnotes in history books. Such epic tales would have been fertile ground for many videogames—so where are all the Indian heroines and protagonists? Not surprisingly, their portrayals are few and far between. And aside from a fictionalized version of Lakshmi Bai in The Order: 1886 as the founder of a rebellion force, most Indian characters are depicted as egregiously otherworldly and mystical; Dhalsim from Street Fighter can levitate and extend his limbs, while Great Tiger from Punch-Out!! has a couple of magic carpets at his disposal and proudly sports a turban. But heroines? Almost absent. Hence, when trying out Raji: An Ancient Epic, an action adventure game set in ancient India and starring an Indian girl, I was surprised to see little of the usual Indian stereotypes often exaggerated to grotesque proportions; no turban-wearing men, skinned tigers, snake charmers, or magical carpets in sight. Only a picturesque landscape of hand-painted environments and Hindu architectures. 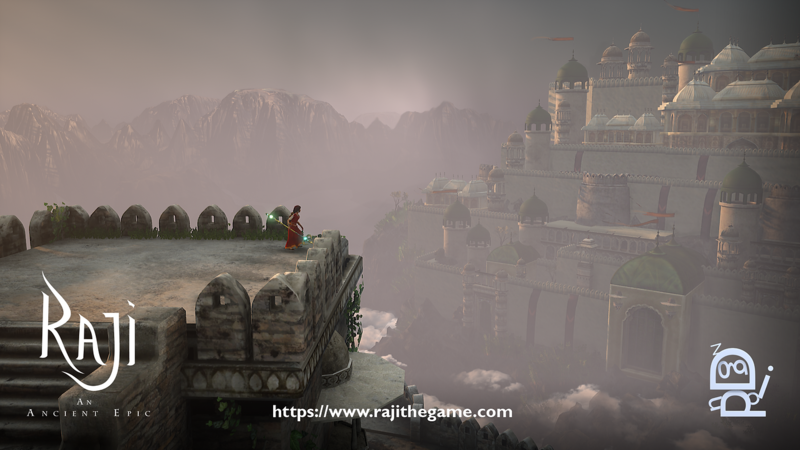 Developed by a studio based in India, Raji: An Ancient Epic is a hack and slash title with some puzzle-solving elements. The heroine, Raji, was granted extraordinary powers by the Heavens to defend the human realm against a demonic invasion. Armed with an enchanted trident, she makes her way across the level by roll-dodging a lot of attacks, artfully swinging her weapon, and praying for a swelling sphere of electricity that sends a shockwave through any demons in the vicinity. Raji is no pushover, combat is hella engaging, and Raji: An Ancient Epic is essentially good ol’ fashioned fun. What’s more notable than this though, is how Raji is placed front and center as the protagonist. This is even more poignant when considering the gender equality issues that beset India. While women have held leadership positions in the government, with one—Pratibha Patil—having served as the 12th President of India, repressive practices still persist. Domestic violence against women are rife, and the practice of honor killing is common in the northern regions of India. Sexual harassment cases are also rampant, and most women don’t have property and land rights too. And according to Shipra Deo from The Hindu, one social custom even involve having the bride wash herself with the water that the groom has cleaned himself before their wedding night. Of course, this is meant to impart a message of subservience. Default female protagonists are already pretty uncommon in games. To have a young Indian girl (I think she’s not older than 12) front Raji: An Ancient Epic is not only a bold statement, but also an affirmative one. That this was also done without bringing attention to her looks or the way she dresses—like many female characters in other videogames already are—is even more significant. Such games are exactly the sort I’m eager to see more of. 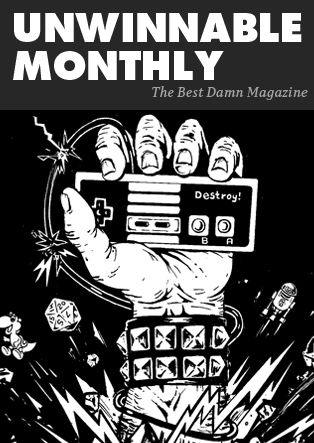 So yeah, give the demo a go at its Kickstarter campaign. I can’t wait to see how the finished product looks like.